Two government departments – and the judiciary – appear to be conspiring to prevent the release of information that would show how ministers ignored an opportunity to prevent the “fitness for work” test causing disabled claimants to take their own lives. The Department for Work and Pensions (DWP) has been asked key questions about its apparent failure to fulfil its legal duty to respond to a coroner’s report on the suicide of a disabled man found “fit for work” six years ago. Questions submitted by Disability News Service under the Freedom of Information Act were due to be answered by 20 January – again, according to DWP’s legal duty – but the response is now two weeks overdue. Both the Ministry of Justice (MoJ) and the Judicial Office have produced misleading responses to questions submitted by DNS in the past few days. 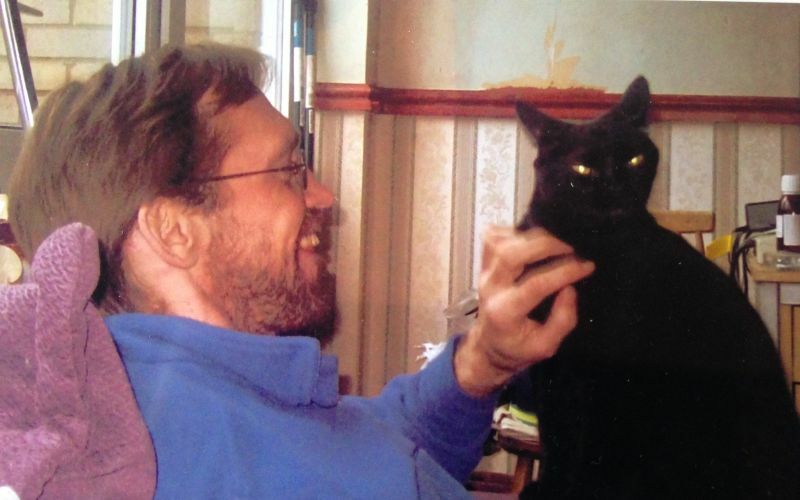 The report by coroner Tom Osborne was written in late March 2010 following an inquest into the death of 41-year-old Stephen Carre (pictured), from Eaton Bray, Bedfordshire, who had taken his own life in January 2010*. DNS has seen a series of letters that show the coroner gave DWP all the information it needed to carry out an urgent review of the safety of key aspects of the work capability assessment (WCA) in 2010. But that review – ordered by Osborne through a process known as a Rule 43 letter – was never carried out. DWP press officers have repeatedly refused to answer questions about the failure of work and pensions secretary Iain Duncan Smith to respond to the Osborne report. But they have also been joined in their cover-up by colleagues in the press offices of the Ministry of Justice and the Judicial Office. Both press offices have been shown letters that prove DWP was provided with the necessary information – including a transcript of the Stephen Carre inquest – to allow it to respond to Osborne’s report, but failed to do so. All three press offices have tried to argue that DWP did respond to the coroner’s report, through a letter sent to Osborne on 4 May 2010, despite being shown communication that proves the 4 May letter was just a holding response while DWP awaited further information from the coroner. The Chief Coroner’s Office has refused to investigate DWP’s failure to produce a response. And this week, a spokesman for the Judicial Office claimed that the coroner had received no further communication from DWP after the letter of 4 May, despite being shown letters that were sent by Osborne to DWP which prove otherwise. Last week, the Ministry of Justice refused to say whether a DWP response to the Osborne report was ever sent to the Lord Chancellor, as legislation in place at the time said it should have been. The Ministry of Justice press office has seen the same letters that were shown to the Judicial Office, but has also refused to answer questions about the report, including whether it will investigate what appears to be a breach of the law by Duncan Smith. Duncan Smith’s failure to act on the Osborne report may have led to many other similar deaths of ESA claimants who took their own lives after being found “fit for work”. Just weeks after the Osborne letter was sent to DWP, ministers decided to roll out the WCA to hundreds of thousands of existing claimants of incapacity benefit (IB), many of them with long-term mental health conditions. One of those ministers, Chris Grayling, appointed Professor Malcolm Harrington to carry out an independent review of the “fairness and effectiveness” of the WCA, and later told him he wanted to push ahead with plans to roll out the assessment to IB claimants, despite Harrington – who was never shown Osborne’s letter – suggesting this should be delayed by a year. The following year, in December 2011, a long-term IB claimant – Ms D E – took her own life after being told she was not eligible for ESA. Her case was linked by the Mental Welfare Commission for Scotland to similar failings within the WCA process to those that led to the death of Stephen Carre. And in 2014, another coroner wrote an almost identical letter to Osborne’s, again warning of concerns about the safety of the WCA, after the death of a north London man, Michael O’Sullivan, who also took his own life after being found fit for work. Last November, government-funded research concluded that the programme to reassess people claiming IB using the WCA could have caused 590 suicides in just three years. *Osborne ruled that the trigger for Stephen Carre’s suicide had been DWP’s rejection of his appeal against being found “fit for work”, and he called in his Rule 43 letter for a review of the policy not to seek medical evidence from a GP or psychiatrist if the claimant has a mental health condition. Neither the Atos assessor who assessed Carre, nor the DWP decision-maker who subsequently decided that he was fit for work and therefore ineligible for the new employment and support allowance, had sought information from his GP, his community psychiatric nurse or his psychiatrist.